I know I’m a day late for a “Meatless Monday” post, but it’s never a bad day to share a recipe, right? Limit cancer risk: diets high in fruit/veggie consumption may reduce cancer risk. Red and processed meat consumption are linked to colon cancer. Reduce heart disease: recent data from a Harvard University study found that replacing saturated fat-rich foods (meat and full fat dairy) with foods that are rich in polyunsaturated fat (vegetable oils, nuts and seeds) reduces the risk of heart disease by 19%. Fight diabetes: research suggests that higher consumption of red and processed meat increases the risk of type 2 diabetes. Reduce your carbon footprint: The United Nations’ Food and Agriculture Organization estimates the meat industry generates nearly one-fifth of the man-made greenhouse gas emissions that are accelerating climate change worldwide (far more than transportation). 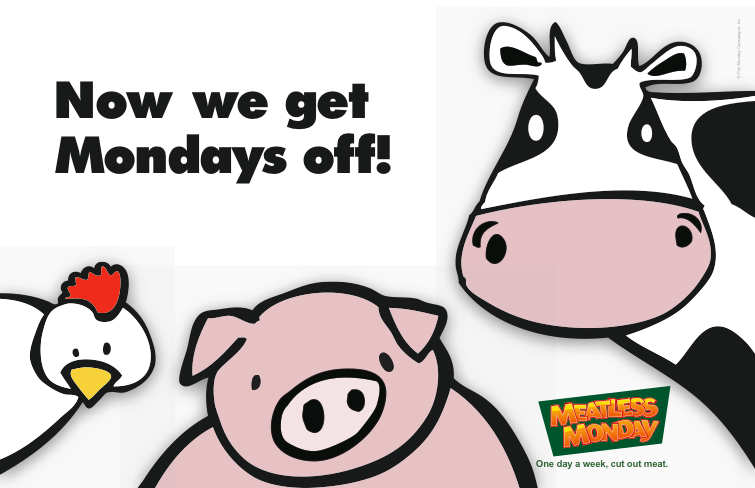 Reducing in meat consumption once a week can help slow this trend. Sure, statistics and studies change over the years. But no matter what you think about meat, you can’t argue that focusing on fruits/veggies/legumes for ONE day a week is great for your body. This recipe, while it does contain shrimp, is a great recipe that is focused around veggies. Many people debate whether or not fish is “meat” and are outraged that some choose to include it even when participating in Meatless Mondays. I say do what you want. I personally don’t count fish as meat. If you’ve been reading this blog for a long time, you know that I never eat red meat (never have) but do eat white meat, fish, and eggs, so this day isn’t a huge challenge for me. I can imagine, however, that if you’re a big burger, steak, or fried chicken eater, having grilled shrimp or wild salmon on Mondays would be a huge change, and your arteries would thank you greatly. 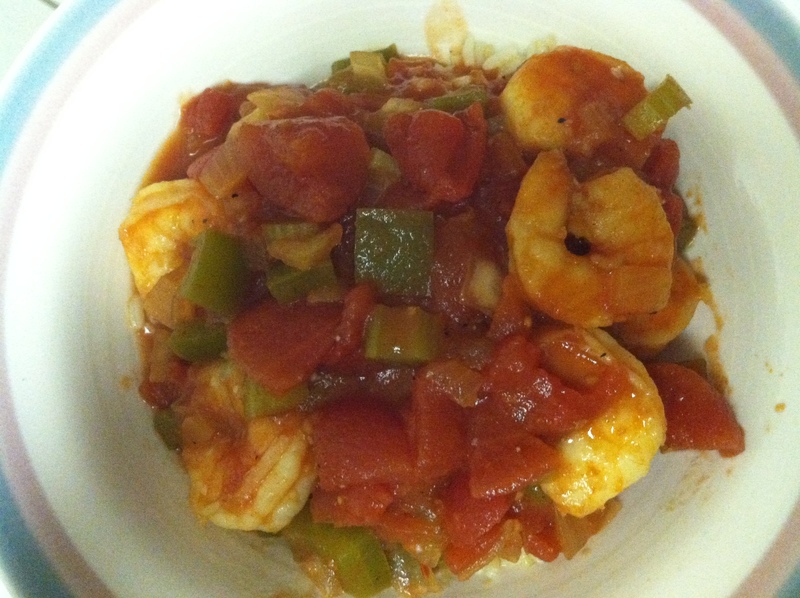 So if you’re looking for a meal that is simple to prepare, easy to make (hello, crock pot), and gives you a break from your meat-eating ways, I definitely suggest shrimp creole. And if you think shrimp is a deal-breaker when going meatless, leave it out! There is so much flavor in the creole as it is that I’m sure it’d be great alone. 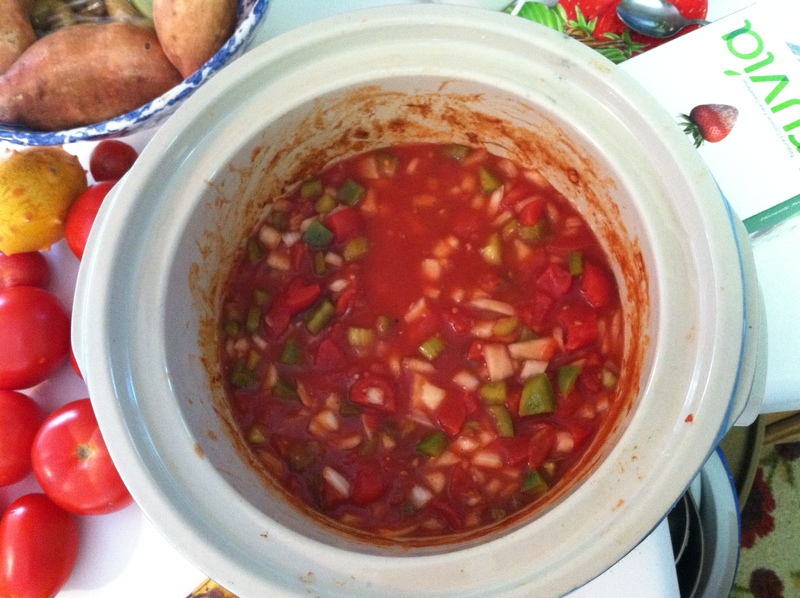 Combine all ingredients except shrimp in crock pot and stir. During the last 15 minutes, add your shrimp until they are warm. Don’t leave them in there too long or they’ll turn into little hockey pucks, since they’re already cooked. (If you use shrimp that is not already cooked, add it in the last hour on High, and make sure they are pink before you stop cooking the creole).